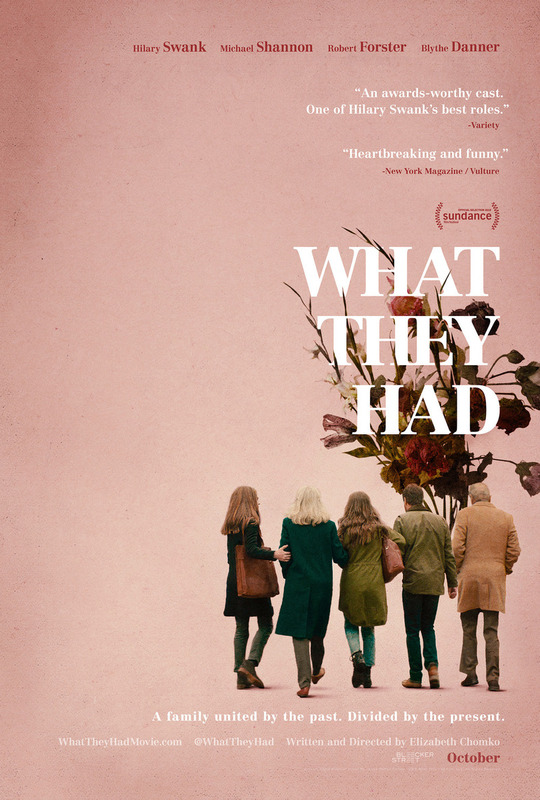 What They Had DVD release date was set for January 8, 2019 and available on Digital HD from Amazon Video and iTunes on January 8, 2019. Heart-warming drama about how a family deals with the matriarch's slow descent into Alzheimer's. When the mother disappears into the cold on Christmas Eve, a daughter is forced to return to her hometown to take action. The father, still unable to face the realities of his wife's condition, is reluctant let go of the life he and his wife shared prior to her diagnosis. Family members are forced to do a great deal of soul-searching while making a decision that could forever tear the family apart.